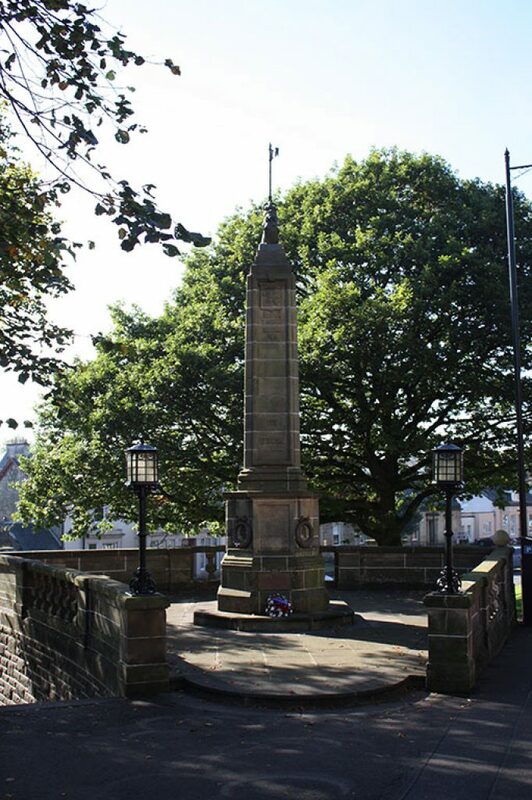 The Stirling War Memorial, Corn Exchange Road, was erected in 1922 to commemorate those who fell during World War I. The Memorial was designed by local architect, G.R. Davidson with funds raised for its construction through public subscription. It comprises a tall sandstone obelisk set in a landscaped area with a balustraded boundary wall. 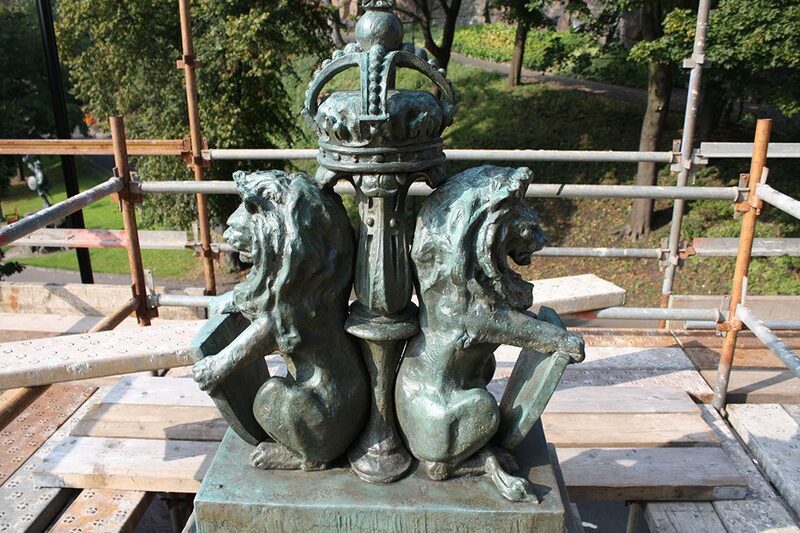 Bronze name plaques record the names of the soldiers and two bronze lions with a Standard sit on the top of the obelisk. Name plaques for later conflicts, notably World War II, were subsequently added. 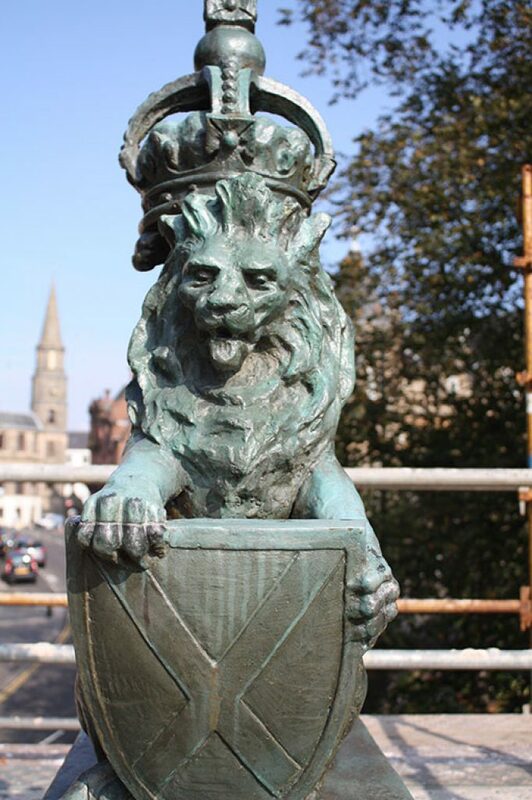 The monument, which is in the custodianship of Stirling Council, is Listed Category B and located within Stirling Town Conservation Area. 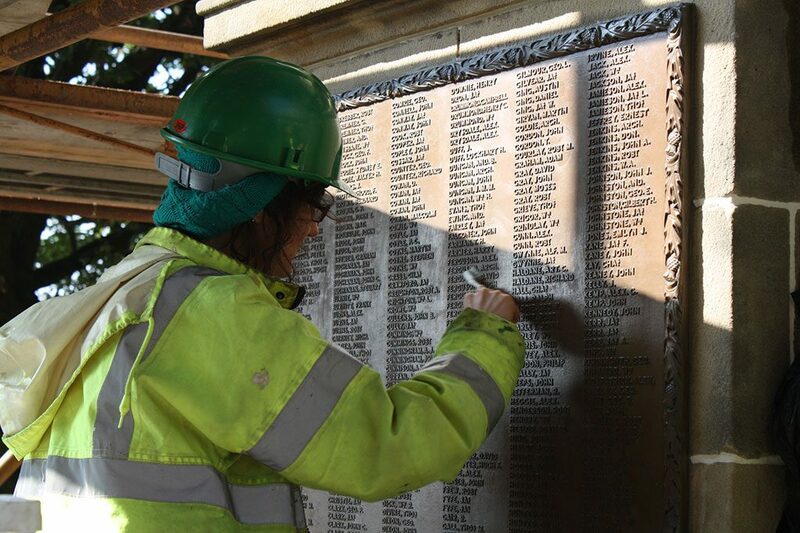 The Trust applied for grant funding to undertake essential repairs to the Memorial including repointing of stonework, reinstatement of missing architectural detail, repairs to the balustrade wall and careful cleaning of the bronzes. 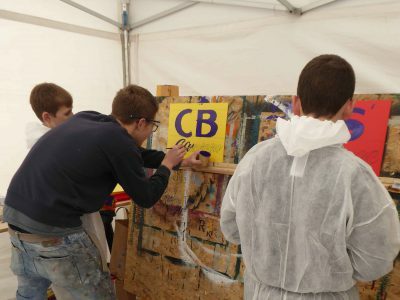 Funds totalling almost £40,000 were secured from the Centenary Memorials Restoration Fund (War Memorials Trust), the Stirling Common Good Fund and the Clackmannanshire and Stirling Environment Trust. 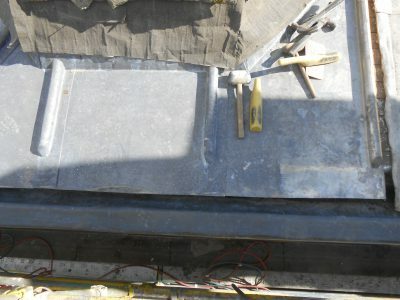 The work was completed in February 2015 and secures the future of this important monument.